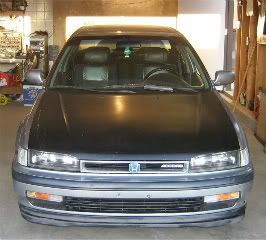 as you all may know by now (if u have searched) that a front lip for a cb7 is hard to find, however if u do find one then it turns out to be really expensive. use the search button and read stickies young grasshopper..
Last edited by casterX; 03-23-2010 at 03:27 PM. try and find a 92-93 lip, they look better. Does the 92-93 lip fit perfectly on a 90-91 bumper? Or does it require some modifications? Also, it doesn't matter what trim or body type (coupe/sedan) the lip comes off of, right? Alright thanks. I'ma hit up the JY soon to see if I find one. If you're getting one from a junkyard, try and get the mounting clips from the bumper too. I got my lip home and tried putting it on my 91 LX and learned it didn't have those clips...so self tapping screws and zip ties are the next best thing. Awesome. Thanks for the heads up. I'll make sure of this. Some great info in this thread, it helped a lot, thanks!! 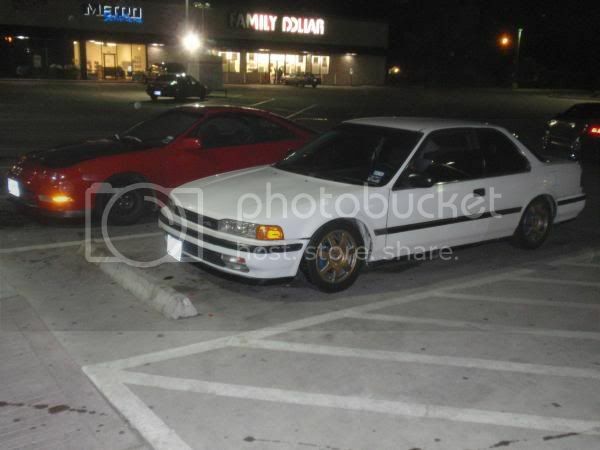 I'm digging the CD5 lip, be looking at the wreckers for a '95ish I think. But lots of good options. You really dug up a 3 year old thread just to type gibberish? Nice.